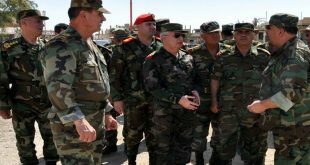 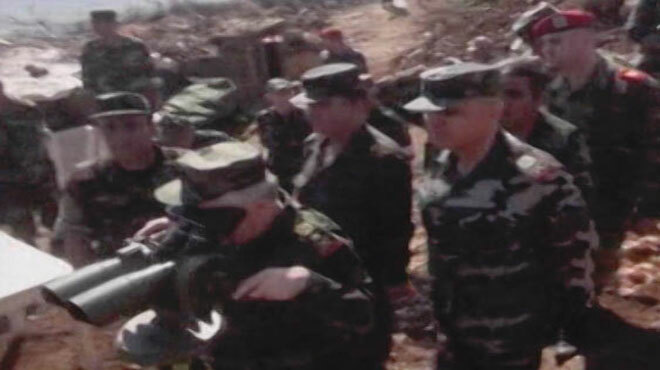 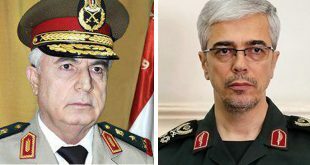 Damascus, SANA- Upon the directives of Commander in Chief of the Army and Armed Forces President Bashar al-Assad, Chief of the General Staff of the Army and Armed Forces, Gen. Ali Abdullah Ayoub paid a field visit to inspect army units operating in the Western countryside of Hama province. 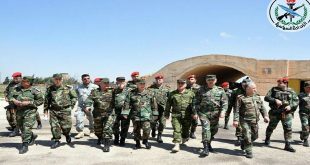 Accompanied by a number of the General Staff commanders, Lt. Gen. Ayoub was briefed by field commanders on the combat operations of the Army and Armed Forces against terrorist organizations in the area. 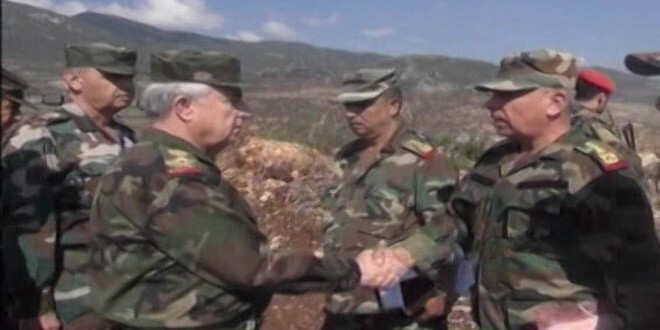 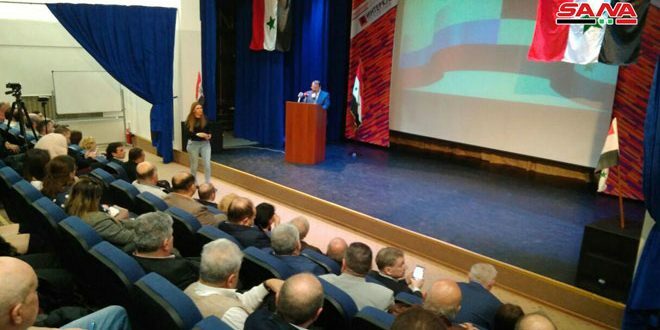 Gen. Ayoub lauded the high morale of the army personnel and their determination to restore stability and security to all Syrian areas.